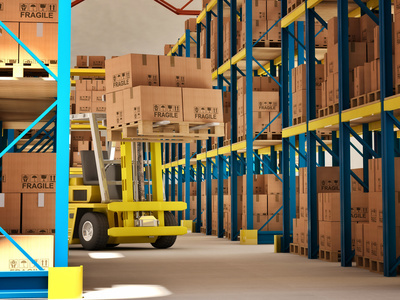 If you have a growing business in Savannah and need warehouse space for your products, how do you go about choosing the best warehouse service provider in Savannah, GA to serve your needs? Besides the basic factors like location and cost, it’s important to know what services you need, and whether the warehousing company provides those services. It’s also important to know the quality of service you’ll receive. For most business, effective warehousing involves more than just providing storage space for your inventory. Do you simply need a secure space, or do you need more? Do you need climate control? Do you need help with shipping logistics or inventory management? What transportation services do you need? Do you require drayage from the Port of Savannah? What are you doing about order fulfillment? The truth is, most businesses need most of these services, and if your warehouse company doesn’t provide them, you’ll need to have them taken care of by someone else, or do them yourself. So the best warehouse service provider for your Savannah business needs will be one who can provide as many of these services as possible, thus simplifying your workflow. Just because a warehouse company offers a variety of services, it doesn’t necessarily mean it performs all those services efficiently. For example, if the warehouse service provider merely provides storage space and outsources all the additional services to third parties, there’s a greater chance that the chain of supply will break at some point—not to mention you could probably contract those services yourself directly for less. Find out the nature and quality of the services provided—does the company handle the services in-house or contract them out? Also, learn from other customers how satisfied they are with the quality of service. At Bonded Service, we take personal pride in making sure our clients have access to a full array of warehousing services, and whenever possible, we handle those services in-house. (For example, we have an entire fleet of more than two dozen trucks that can handle most of our customers’ transportation logistics.) With more than 80 years in business, we are among the most trusted names among warehouse service providers in Savannah, GA. To learn more, contact us today.